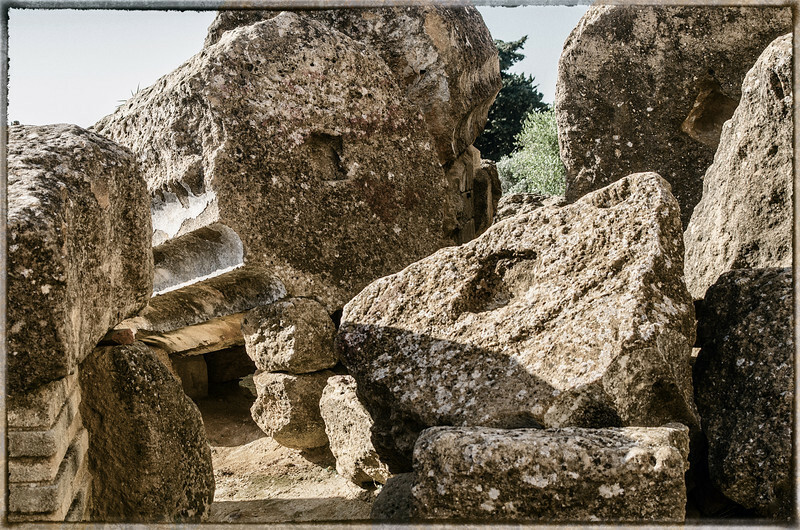 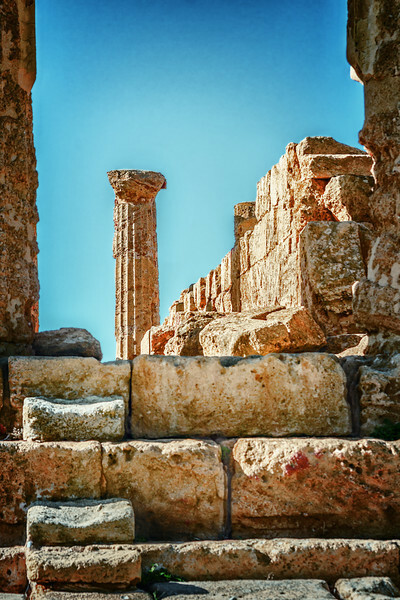 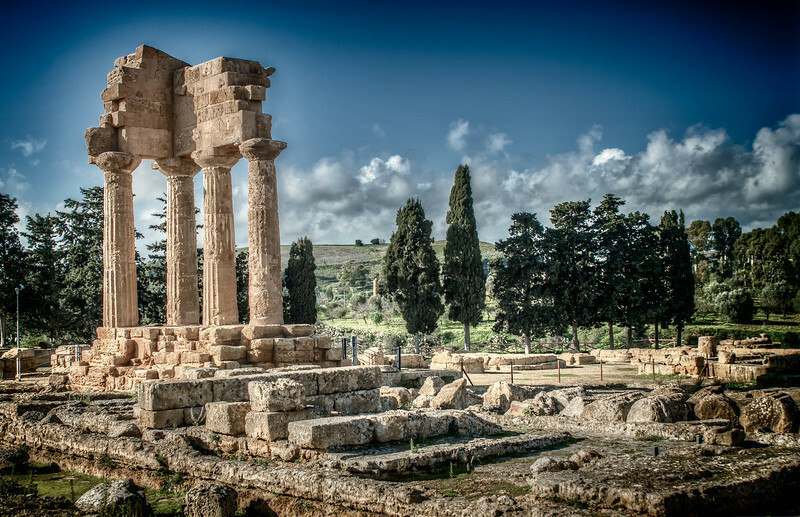 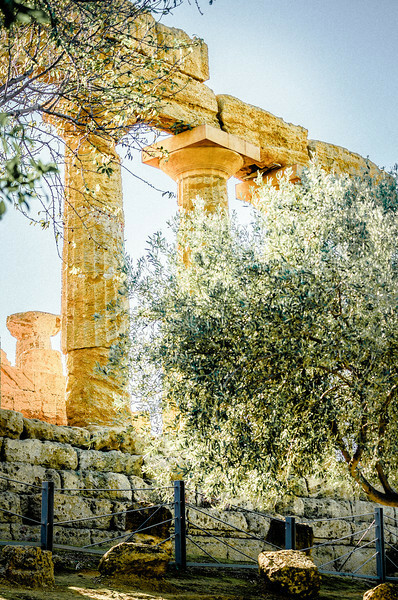 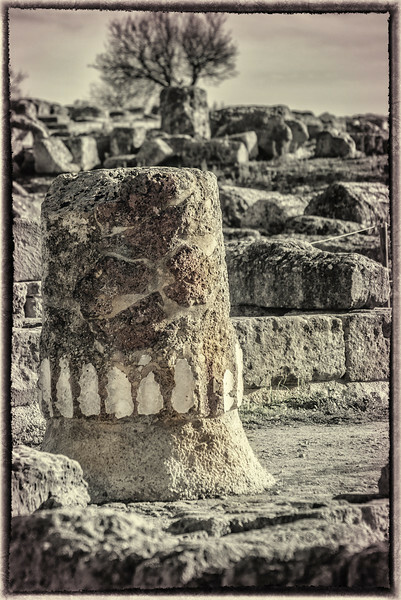 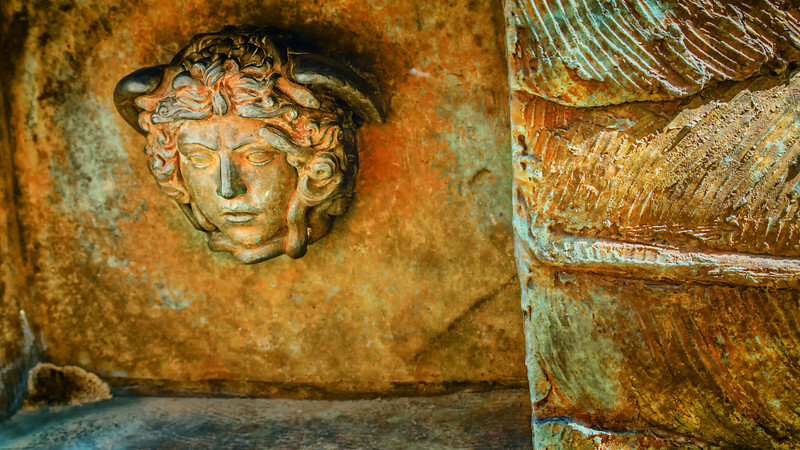 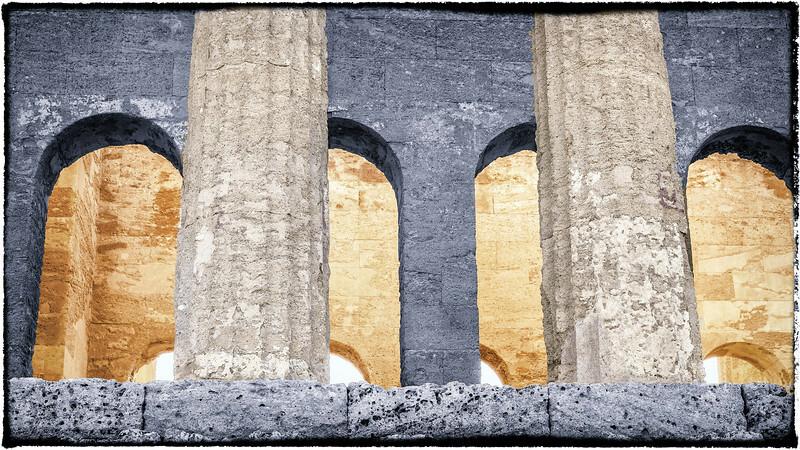 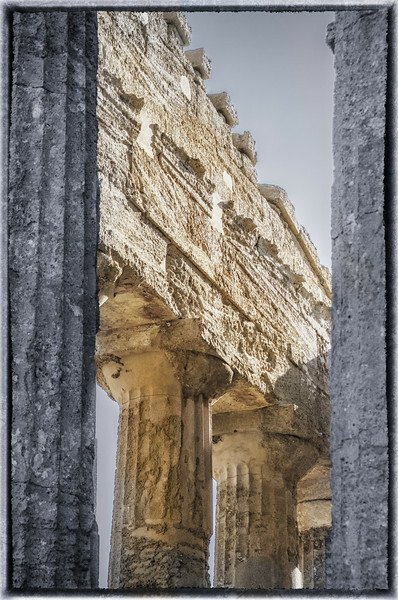 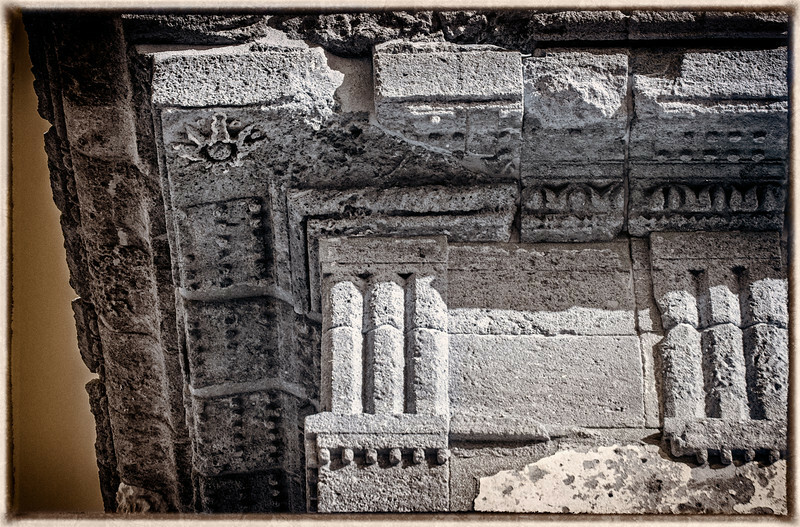 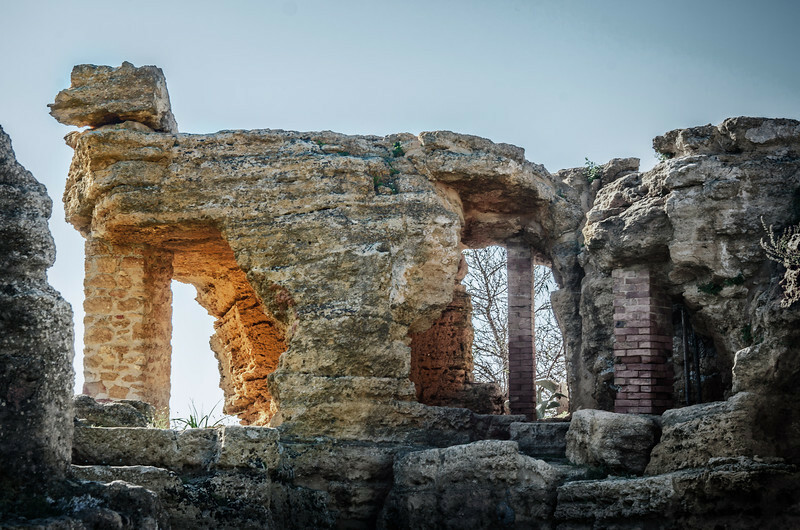 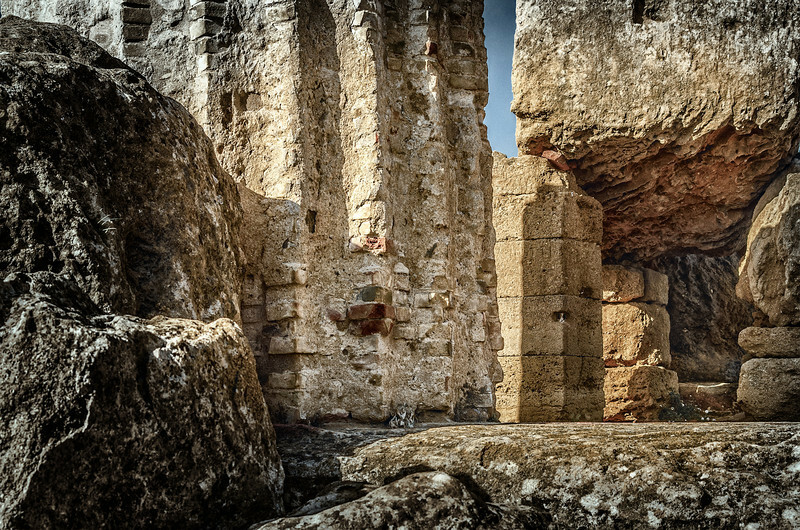 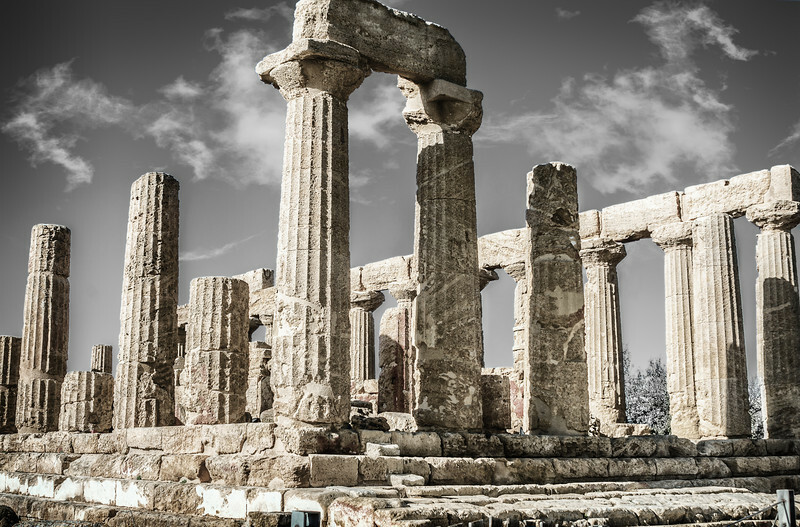 In the luxurious Sicilian countryside stand these Greek temple ruins. 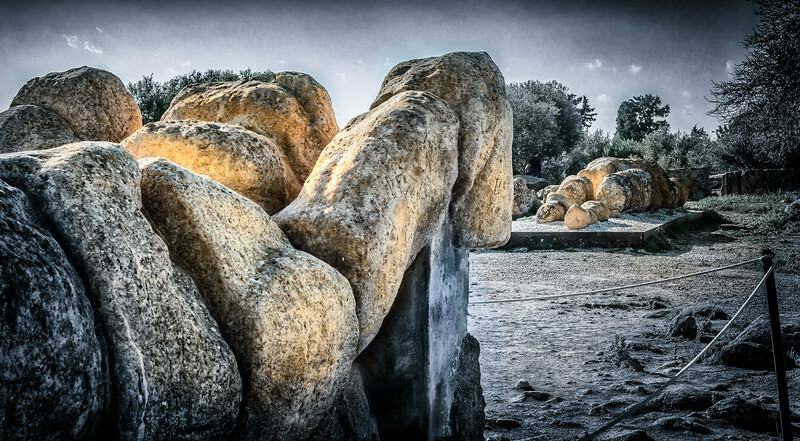 Magnificent in their golden sandstone nature and godly scale. 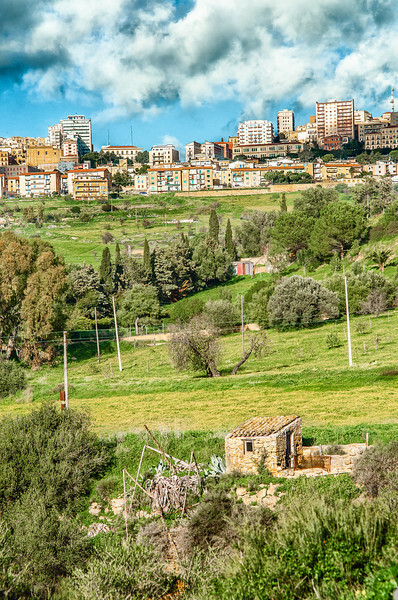 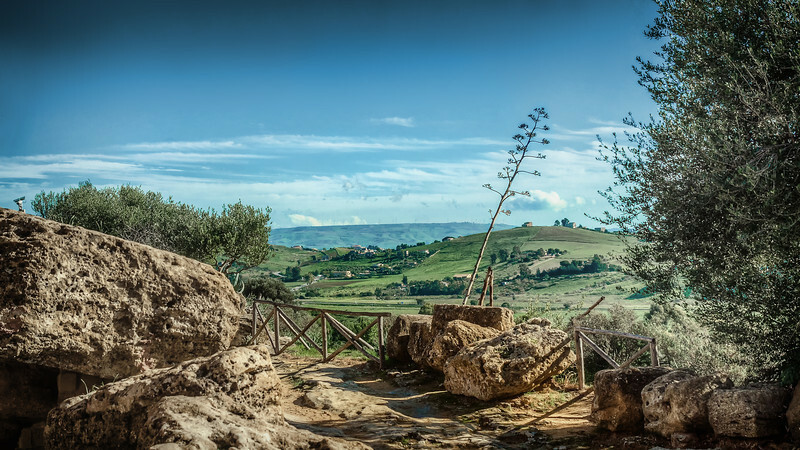 View of Agrigento's countryside in Sicily. 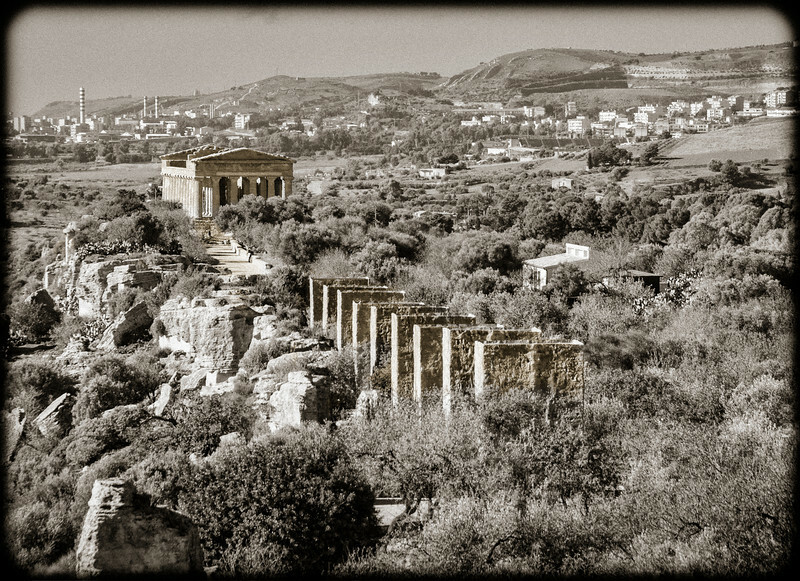 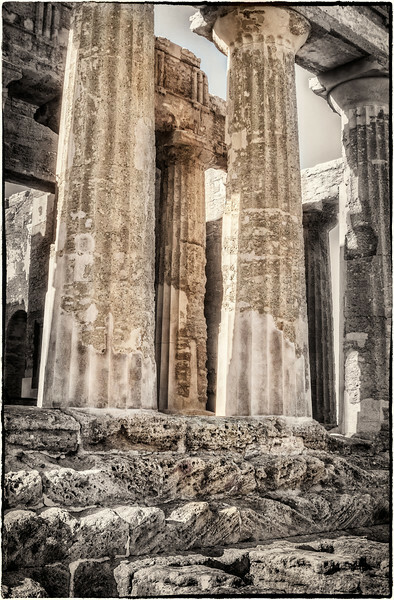 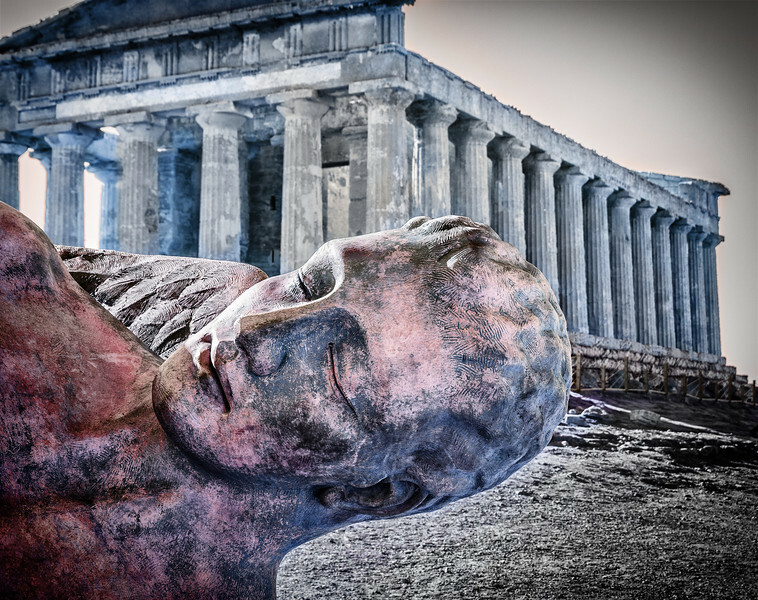 The Temple of Concord in Agrigento Sicily. 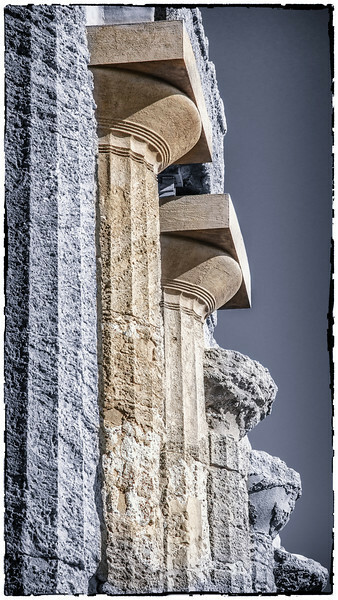 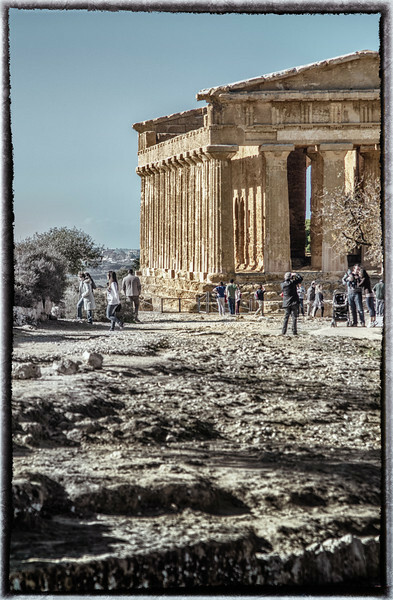 One of the best conserved Greek temple to date. 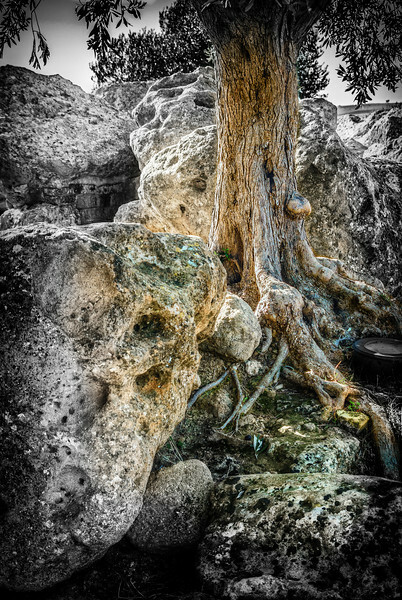 Sandstone kittie, a trick of nature. 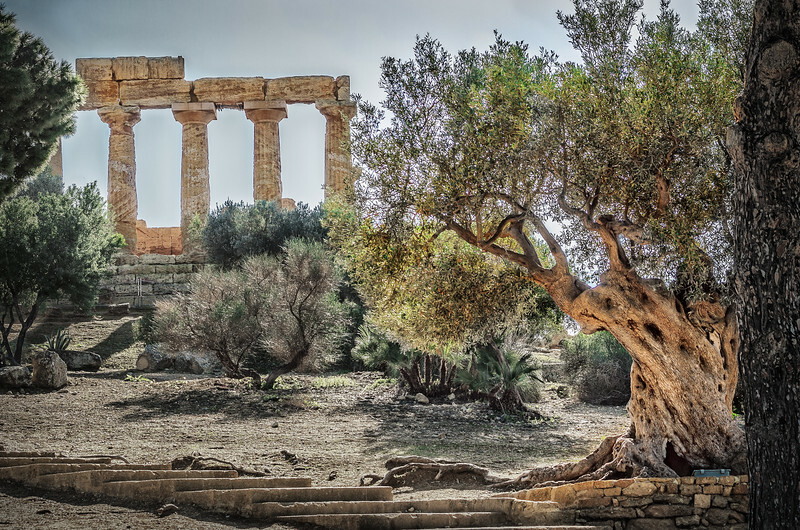 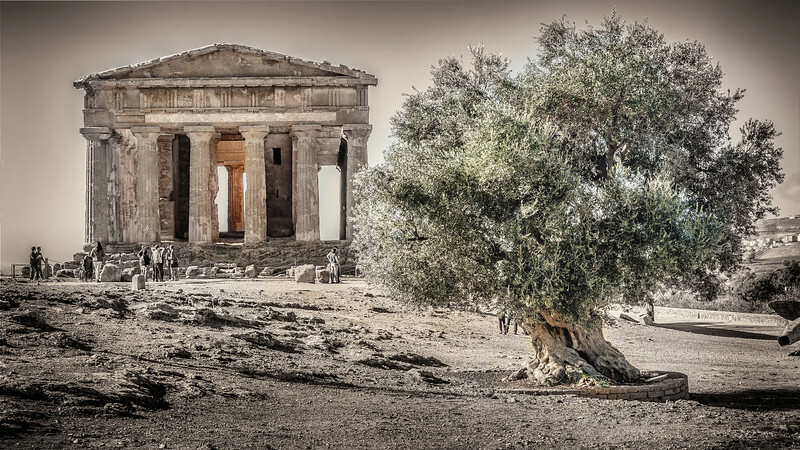 The Temple of Concord with its millenary olive tree in Agrigento SIcily. 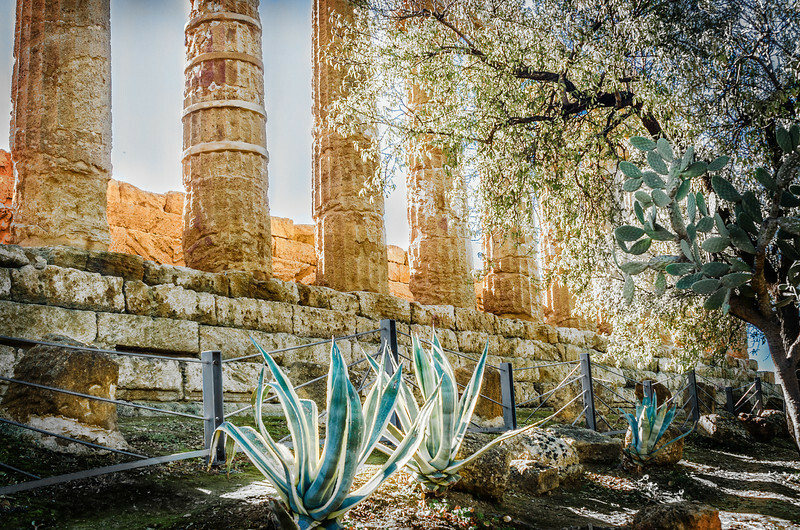 Temple of the Twin gods, Castor and Pollux, in Agrigento Sicily. 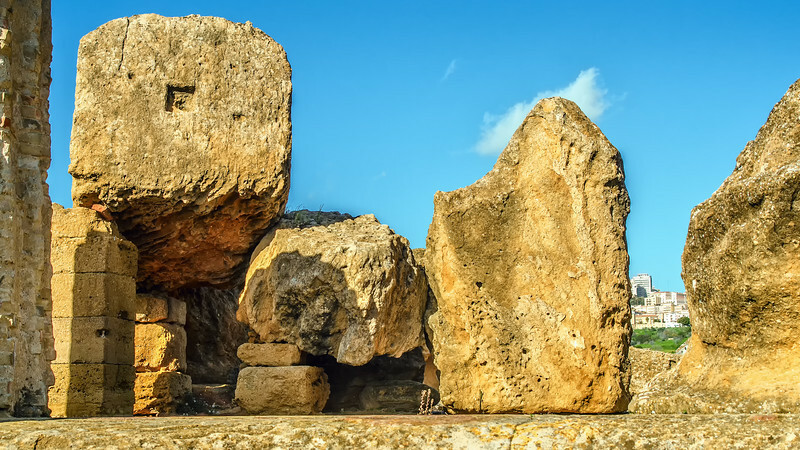 Telamon statues, little remnants of the enormous Zeus temple in Agrigento, Sicily. 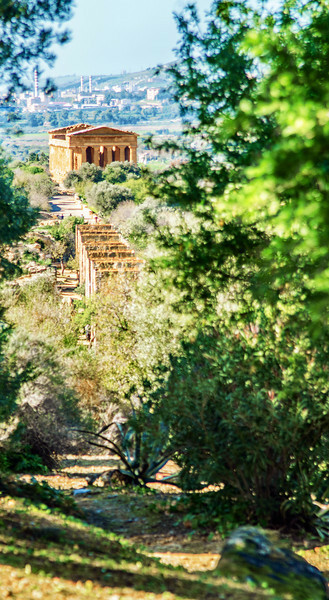 Temple of the Chtonian Deities in Agrigento, Sicily. 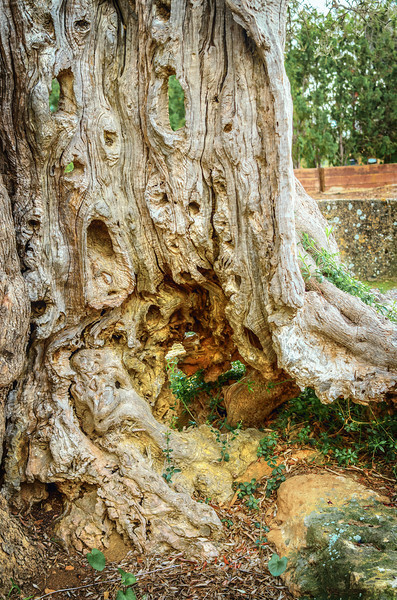 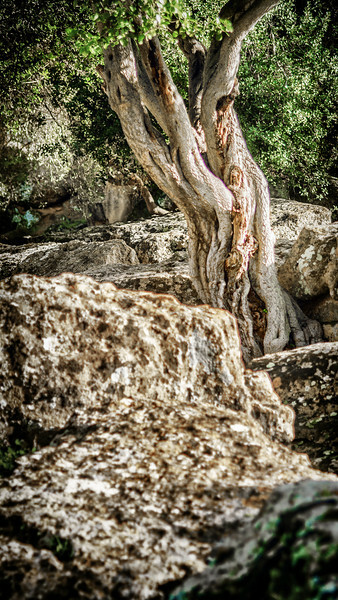 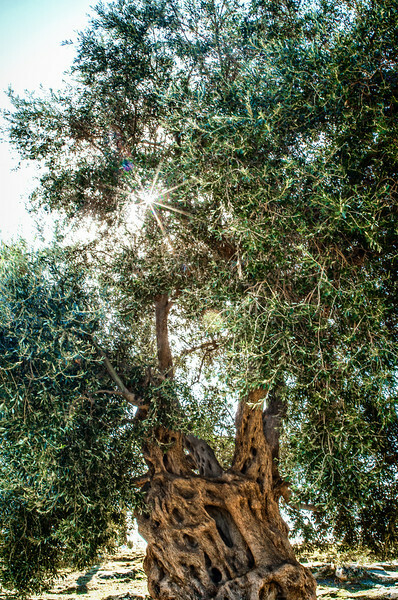 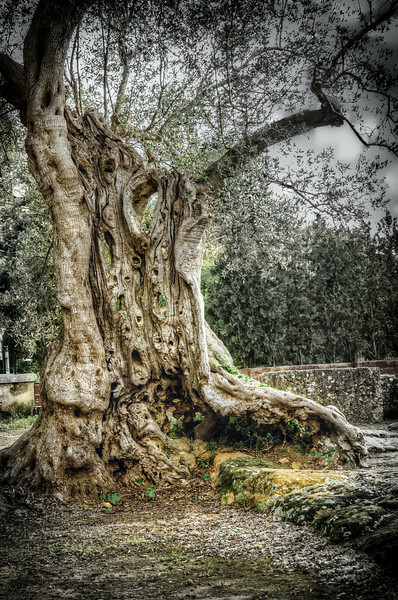 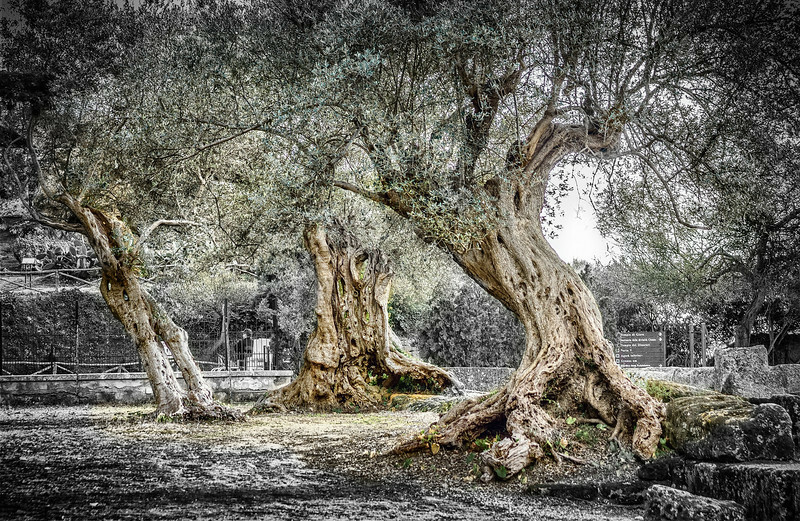 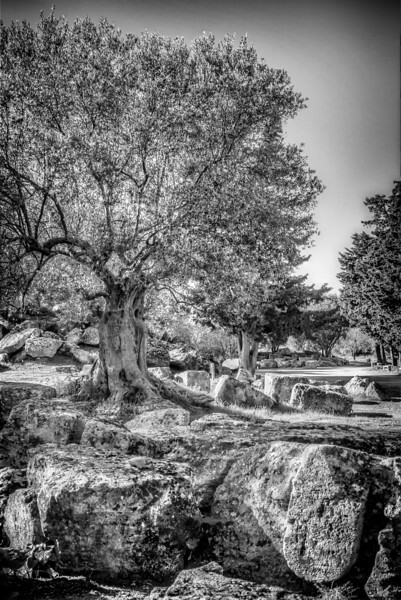 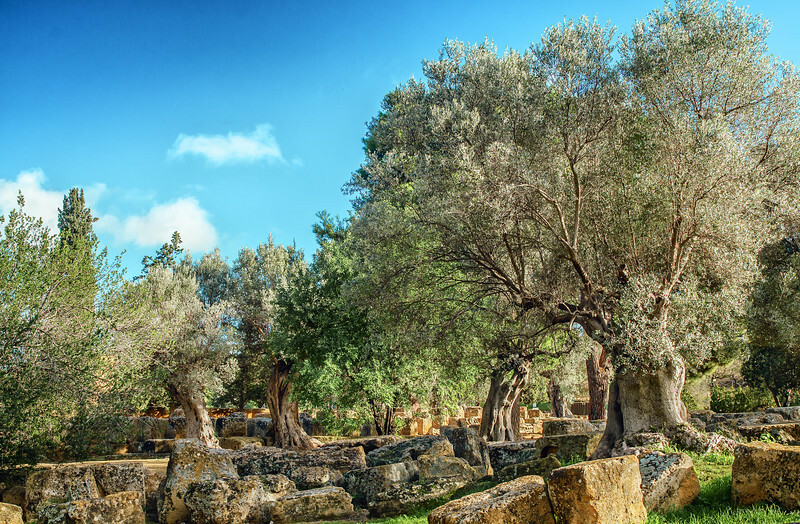 The Kolymbetra garden, the ancient grove planted by the old Greek. 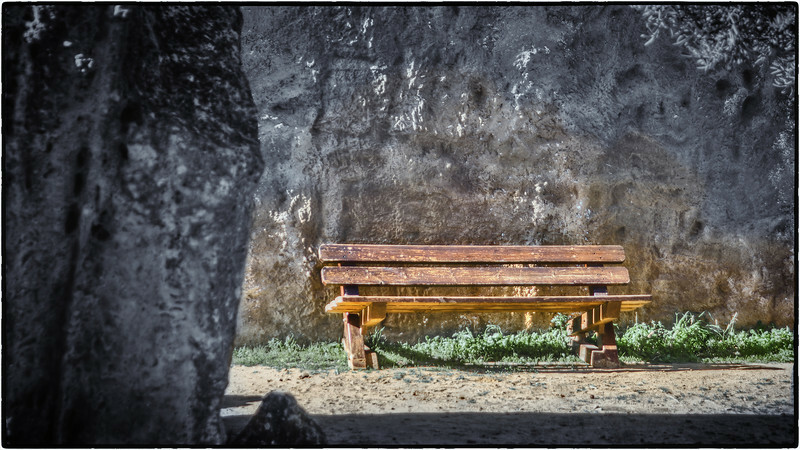 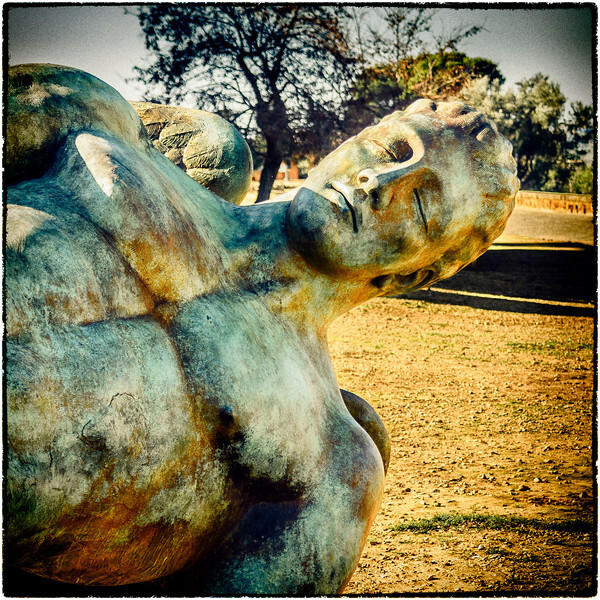 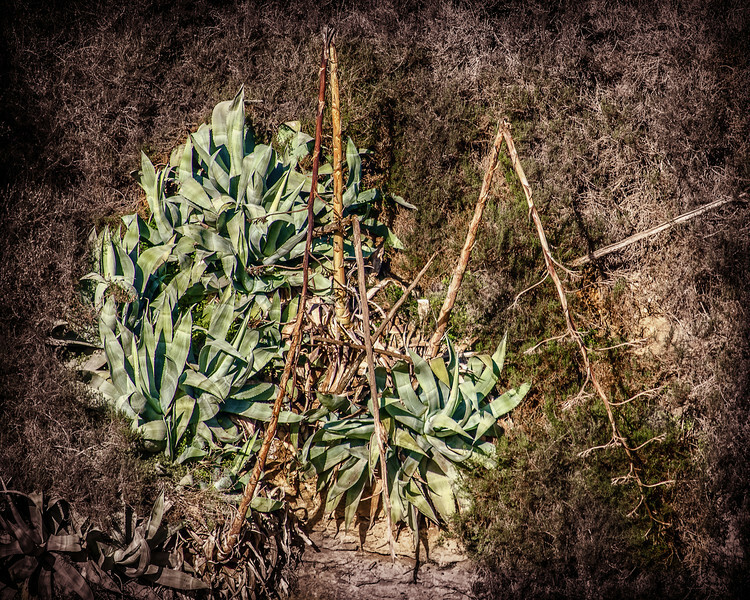 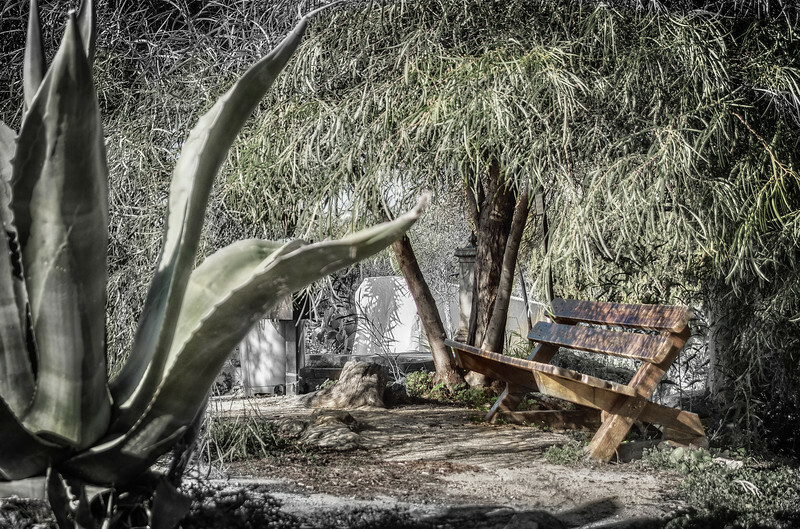 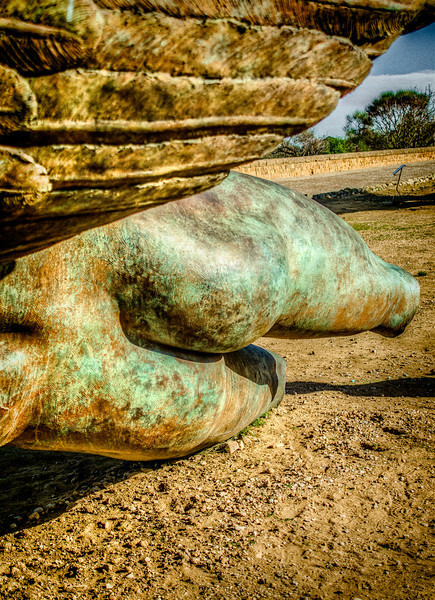 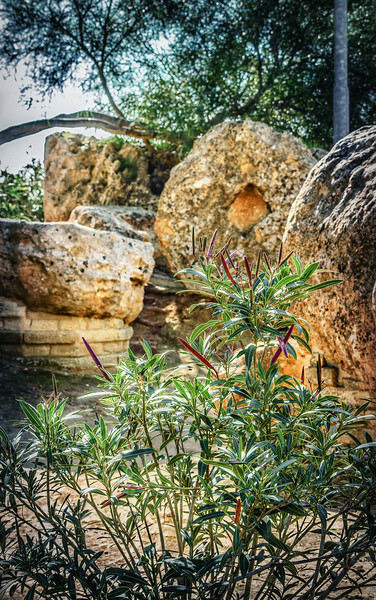 A little piece of the Eden garden in Agrigento, Sicily.